Are you working on a impact initiative and would like to scale it up? Join our IMPACT Lab and accelerate your startup! The IMPACT Lab is a network of entrepreneurs who are striving to improve the world with powerful and scalable innovations. Through knowledge exchange and interdisciplinary cooperation, we foster the development of entrepreneurial skills toward social impact. The IMPACT Lab members investigates emerging concepts of business and promotes idea-sharing in order to help scale up new startups that are tackling social issues around the world. The Lab's comprehensive network connects you to people with a wide range of skills in such areas as business financing, capital raising, business development, Angel Investor and VC relationships, problem solving, technology development, product design, and company branding. Being a member of IMPACT Lab gives you the benefits to be part of a global community of entrepreneurs connected to the HUB network. 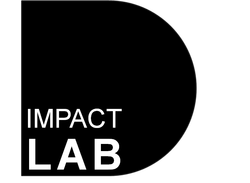 IMPACT LAb is a HUB Boston affiliate and Lab members will work in the HUB Boston co-working spaces.